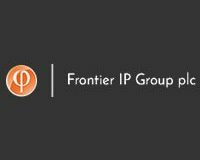 Frontier IP (LON:FIPP), a specialist in commercialising university intellectual property, is pleased to announce its interim results for the six month period ended 31 December 2018. Chief Executive Neil Crabb said: “Our business model is based on proving the commercial value of intellectual property by working closely with universities, academics and industry. Only when we are confident the technology works, can be scaled up, and meets a market need or demand, will we ask investors to make significant commitments to the portfolio companies. The first half of the year provides further evidence our approach is gaining traction with stakeholders. Four companies announced collaboration agreements with industrial partners, all of whom are among the leaders in their respective sectors. Three new spin outs joined our portfolio, including the first two in Portugal, a market where we aim to be the market leader. Palintest, a subsidiary of FTSE 100 Group Halma, has started the commercial roll out of bathing water testing kit SirenBW, based on Molendotech’s IP, while Alusid gained strong support for its £1.34 million fund raising to support planning for manufacturing scale up. We are mindful of the risks in the Group. The nature of the early and development stage companies in our portfolio means their rate of progress or eventual success cannot always be assured. The Group enjoyed a very strong first half to the year. Three new spin outs were incorporated, including the first two in Portugal, and four portfolio companies announced collaboration agreements with major industry partners. These agreements represent significant steps towards proving the commercial viability of their technology. Further validation came from the success of portfolio companies in winning public sector and private sector funding support. The fair value of the portfolio rose by 27 per cent. to £11.5 million at 31 December 2018 (30 June 2018: £9.1 million). Total revenues rose by 83 per cent. to £2.2 million (2017: £1.2 million) and pre-tax profits by 138 per cent. to £1.2 million (2017: £0.5 million). A successful placing raised £2.3 million (net of expenses) for the Group in November 2018. The six months to 31 December 2018 saw highly encouraging commercial progress with momentum continuing strongly after the period end.